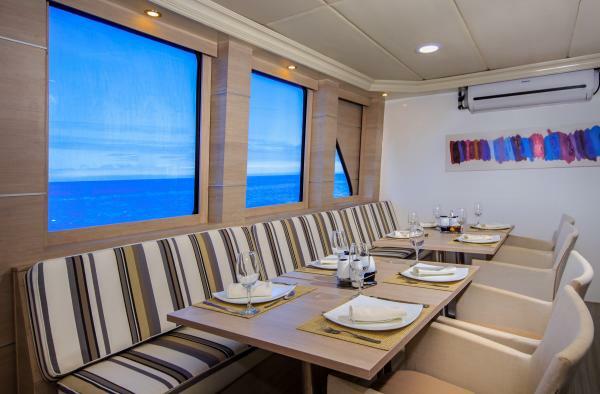 Treasure of Galapagos - a modern and comfortable catamaran built for a maximum of 16 travelers. 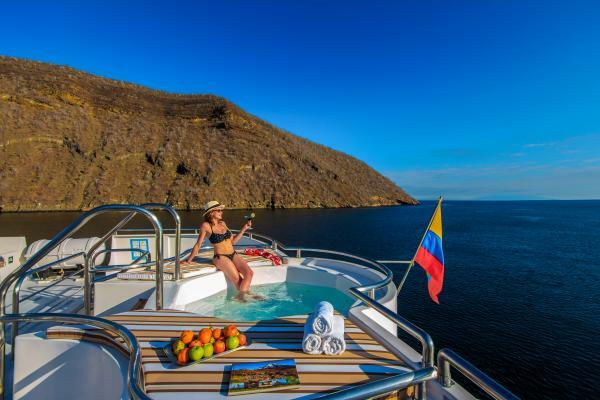 Discover the Galapagos Islands in style on this spacious first class yacht. 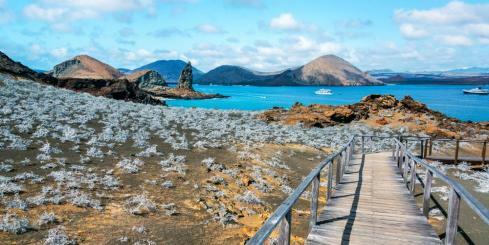 The Treasure of Galapagos offers a fast and smooth cruise because of it´s unique design and modern engineering. 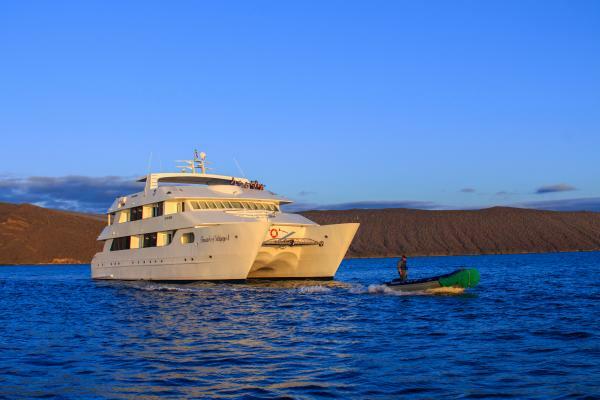 Make your Galapagos Expedition a perfect and unforgettable experience with a touch of luxury. 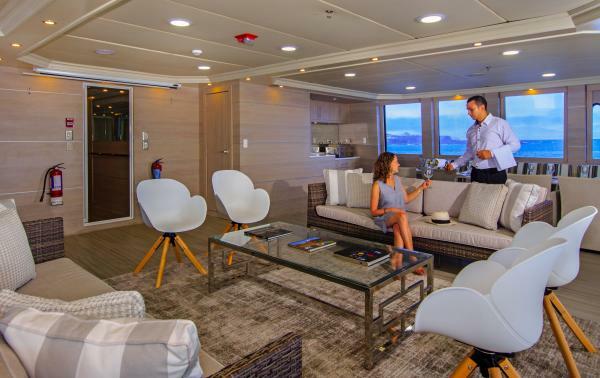 All suites offer the luxury of a private balcony, a private bathroom and a small lounge area for reading, relaxing or having a glass of wine. - All spacious suites offer the luxury of a private balcony (balcony size: 1.9x1.2 meters / 6.2x3.9 feet) and a small lounge area. They are designed for a maximum of two guests. Two suites with matrimonial beds (Queen Size) and six suites with twin beds are available. - The master suite offers a separate living and sleeping area as well as two balconies and it is designed for a maximum of three guests, perfect for families. It offers one bedroom with a matrimonial bed (King Size) and a one additional twin sized sofa bed in the living room. - All suites are equipped with a private bathroom with a shower (hot water), toilet and basin. 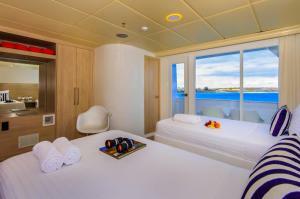 - Each suite offers an individually controlled air conditioning. - Closets, safe / security boxes and baggage room in all suites available. 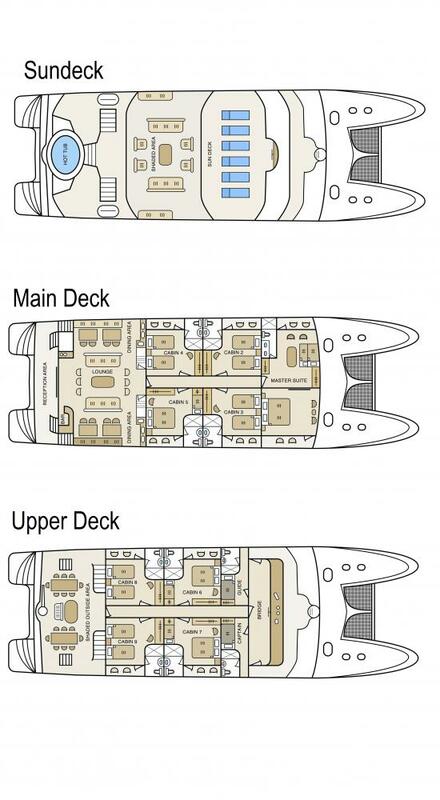 Breakfast, lunch and dinner are included during the cruise. Breakfast and dinner are served buffet style. 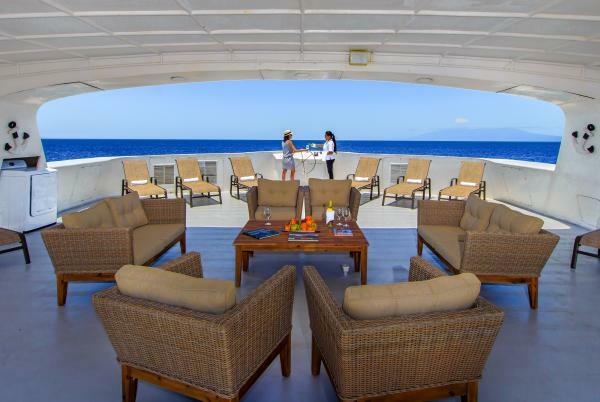 A varied menu with local and international specialties is served during the cruise including special BBQ evenings on the sun deck. Special meals (vegetarian, dietary, etc.) are available upon request at no extra cost. Purified drinking water, tea and coffee are complimentary. Enjoy the fully stocked bar (selected beers, wines, liqueurs and cocktails) available. 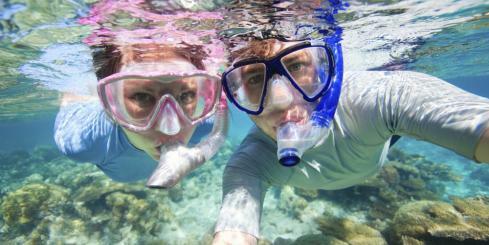 Equipment for snorkeling (snorkel, mask, fins) is available for guests of the Treasure of the Galapagos at no extra cost. Wet suits additionally are available upon request. 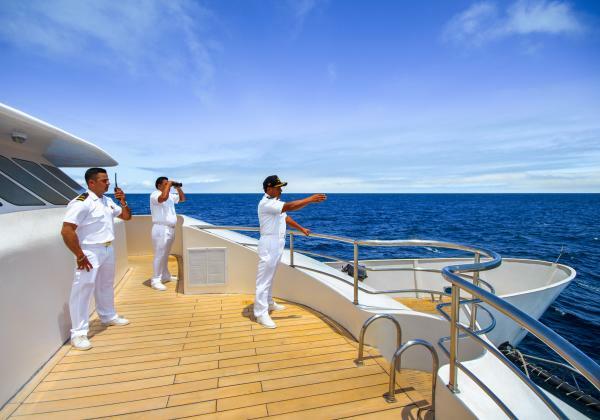 A friendly and helpful crew offering you the best available service. 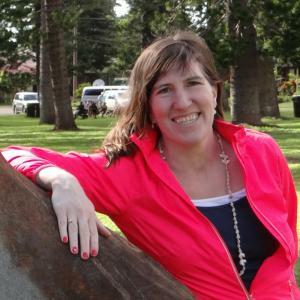 Come on board as a guest and leave as a friend! 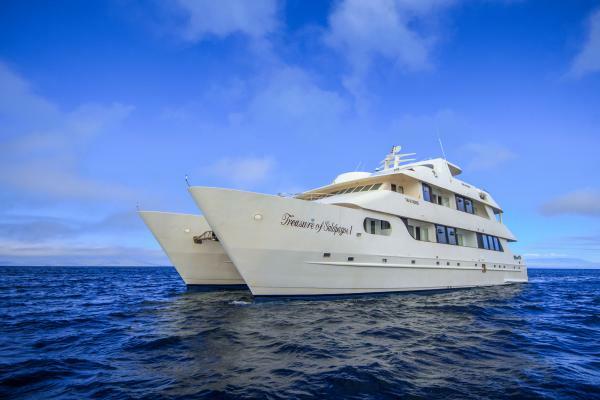 The Treasure of Galapagos is the second yacht on the Galapagos Islands meeting the strict environmental specifications released by the Galapagos National Park. This is proofed by a scientific environmental impact study. 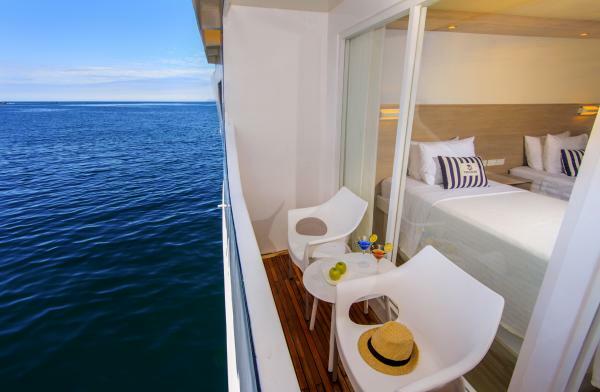 Eight spacious suites with private balcony, small lounge area, private bathroom. 2 with queen beds, 6 with twins. 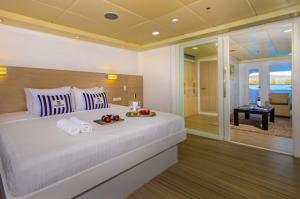 One cabin with separate living & sleeping areas, private bath, two balconies, perfect for families. 1 bedroom with king or 1 bedroom with twin beds, sofa bed in the living room.